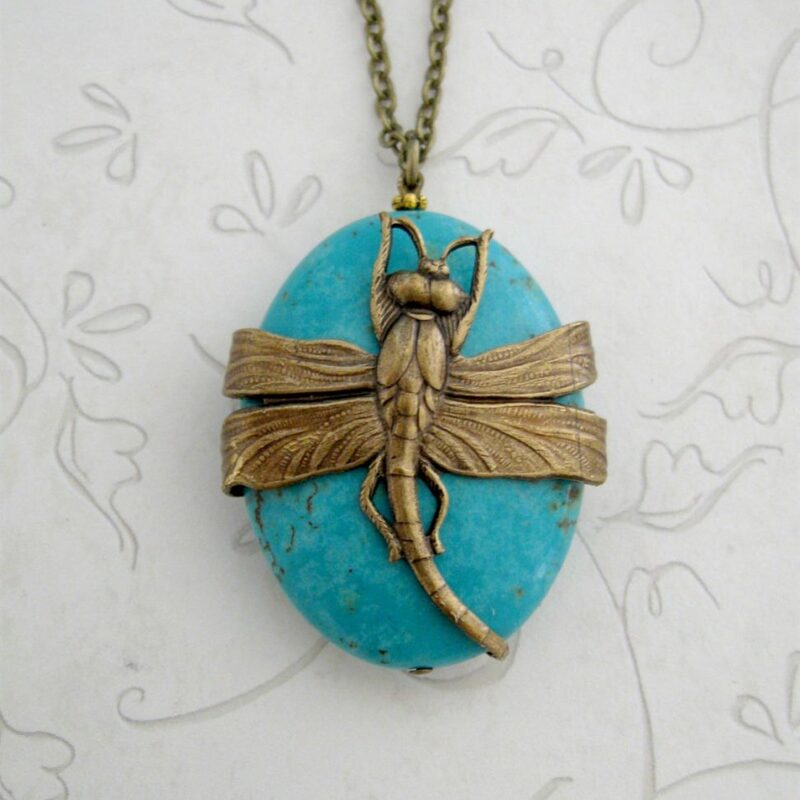 Here is a fabulous dragonfly necklace, which is comprised of one large, beautiful blue turquoise stone, wrapped with a detailed brass dragonfly. 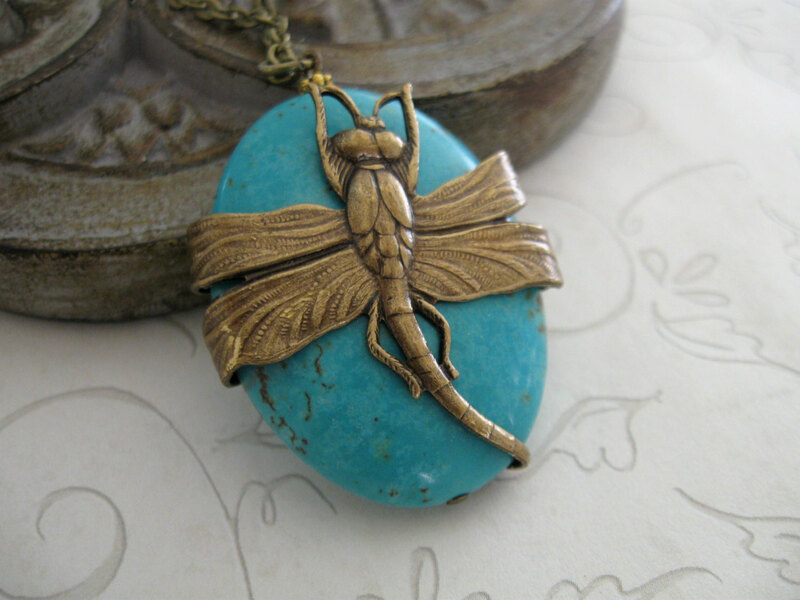 This pendant comes on a long brass chain and has a solid brass clasp closure. 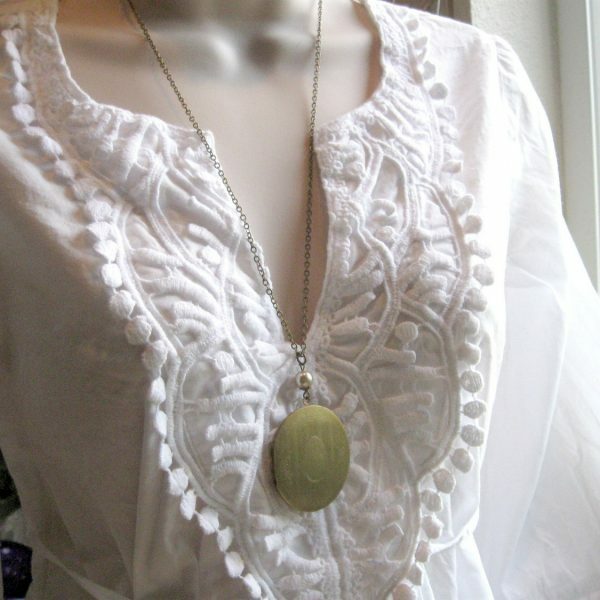 Stunning statement piece! 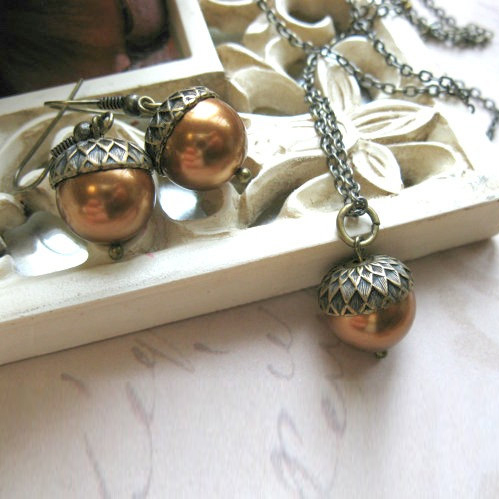 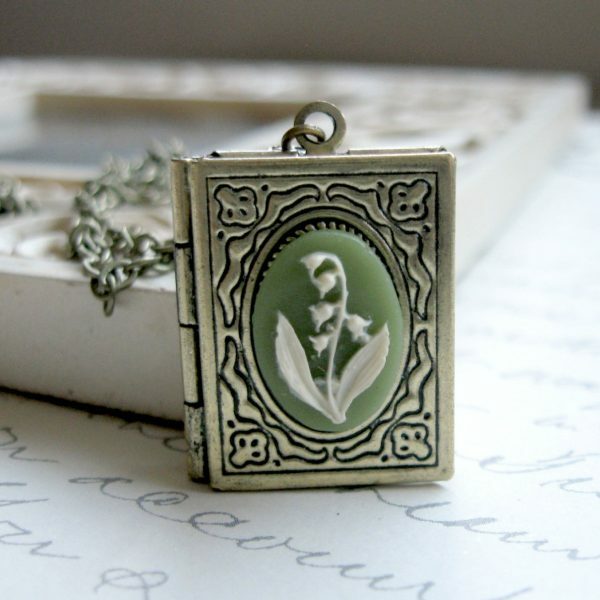 Necklace comes shipped in a sweet Botanical Bird gift box.